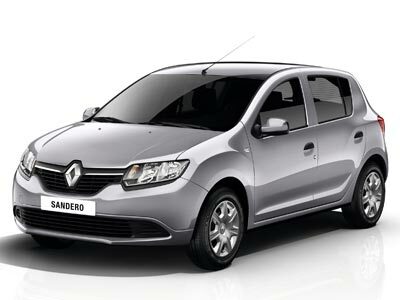 Renault appear to have pulled the proverbial rabbit from the hat with the new Sandero. Definitely some magic in the air. “What you see is a vehicle fully representative of Renault’s heritage with every gene rooted in Renault’s DNA.” says Wayne van der Merwe, product manager for New Sandero. Because of its unparalleled value proposition, New Sandero is set to become the new reference among cars priced under R150 000, a strategic segment which weights no less than 60 000 sales per annum says Renault. I agree. Its a damn fine looking car. Also fitted in Clio, the new generation 3 cylinder 900cc Turbo petrol 66kW power plant (code name: H4Bt) is highly efficient. New Sandero Turbo 66kW reaches a top speed of 175 km/h and speedily accelerates, from 0 to 100km/h, in only 11.1s. New Sandero come with Renault’s a five-year/150 000km warranty completed by a standard two-year/30 000km service plan (service intervals: 15,000 km). According to Renault’s objective to be positioned in the TOP 5 in terms of parts affordability, New Sandero’s running costs will be very moderate, in line with the previous generation (ranking at Number 3 of its segment, according to Malcom Kinsey’s 2013 report). Review to follow as soon as I get my hands on one. This entry was posted in News and tagged 2014, diesel, petrol, renault, Sandero, South Africa. Bookmark the permalink.